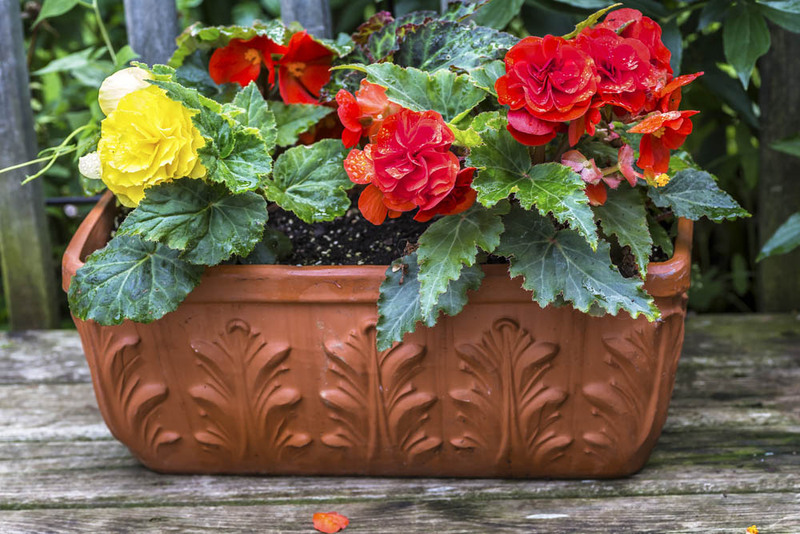 If you have a small yard, patio or no yard at all, these ideas for container gardens might interest you if you're looking to add plants to your home. 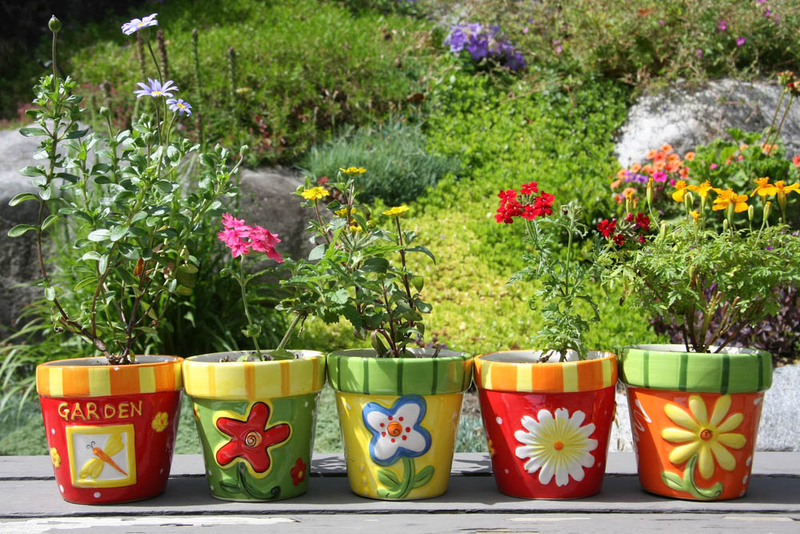 We love container gardening! Large, traditional planting beds and gardens need to be plotted with care, since each plant needs the right combination of moisture and sunshine throughout the day. Certain plants need to be cut back in the winter months, while others need to be re-planted each spring. But container gardens are a whole different story. 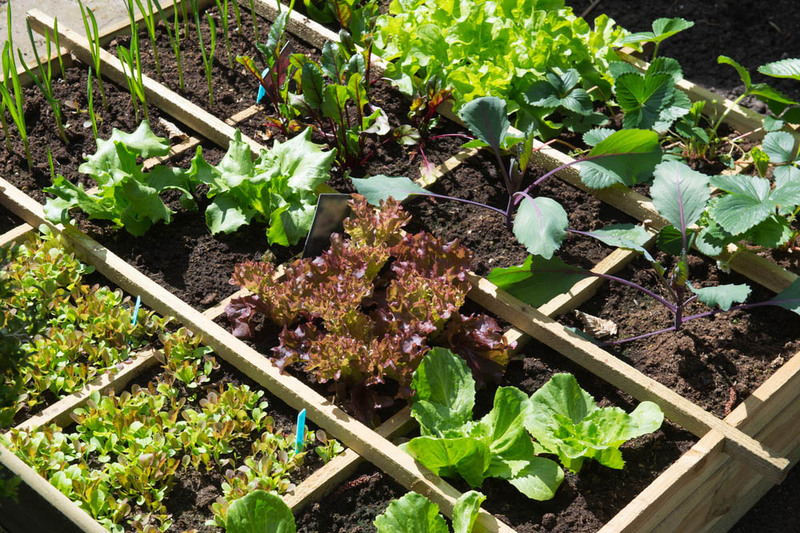 You can plant nearly anything you desire in a container garden, since you can easily move your plant in and out of the sun, control the moisture it receives, and do minimal weeding, since there’s no chance weeds will spread to your potted plants as easily as in planting beds. Container gardens are perfect for small backyards, patios, and for those who don’t have any backyard to speak of. 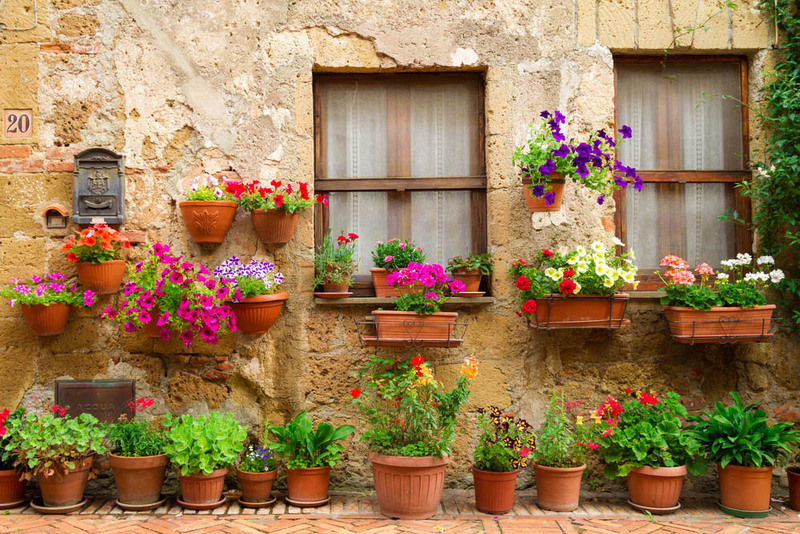 You can keep an indoor container garden, or simply create one on your window sill or on a balcony. There are so many creative ways to create your own unique container garden, but we’ve picked a few really stunning examples that you can use to kickstart your creativity! For a simple, classic look with a bright pop of color, pick sturdy ceramic planters in bold colors. Don’t be afraid to mix and match; the bolder the colors, the more they’ll stand out in your garden. This is a great way to add lots of color to a small patio or deck, in absence of a backyard filled with large swaths of planting beds filled with a wide variety of blooms. To get this casual, yet elegant display look, first find a proper, sturdy frame. You’ll want to care for your frame the way you would your wooden deck. Replace parts as needed, and reapply stain to keep the wood in good condition. To find the containers, shop your local antique stores and flea markets! 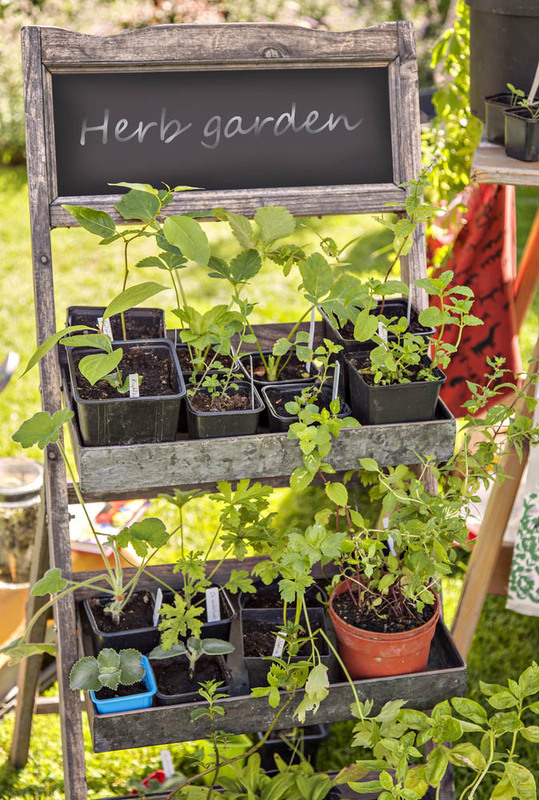 If you’re looking to create an herb garden, but don’t have a lot of space, consider creating a wall herb garden. Find as many antique aluminum mailboxes as herbs you want to plant, then attach with a screw onto a wooden fence or divider wall. Fill with soil and your herbs, and get growing! 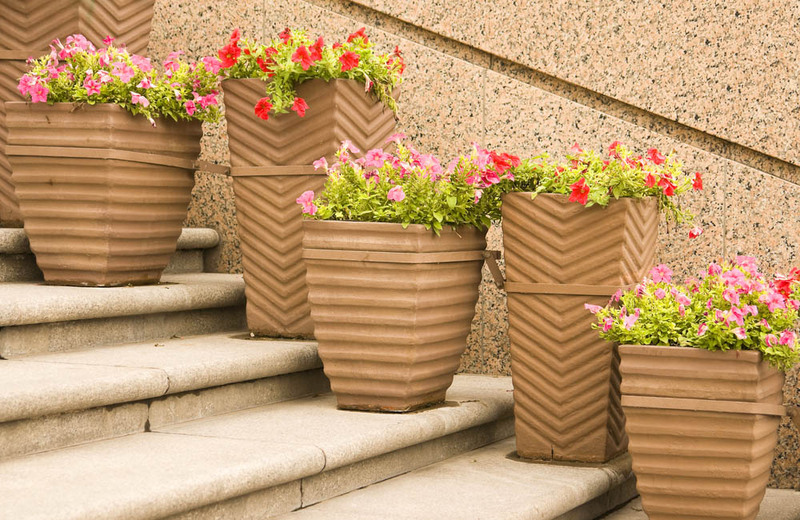 Terra Cotta planters are ubiquitous in the world of gardening, and most potted plants you buy come in a simple terra cotta planter. While terra cotta can be fragile, it is also a great way to get started. Terra cotta planters are cheap, so you can start with them and swap them out later if you decide to go in a different style direction. For herb gardens or vegetable gardens, try creating cross segments in a much larger planter. You can raise the planter up to a height that’s comfortable for you to garden at (no more sore knees!) and keep your plants neatly organized. For plants like succulents, which thrive in shallow soil, a ceramic baking dish can make for a pretty, decorative, and cost-effective planter. Succulents are perfect for indoor living, since they only need a light misting every few days. 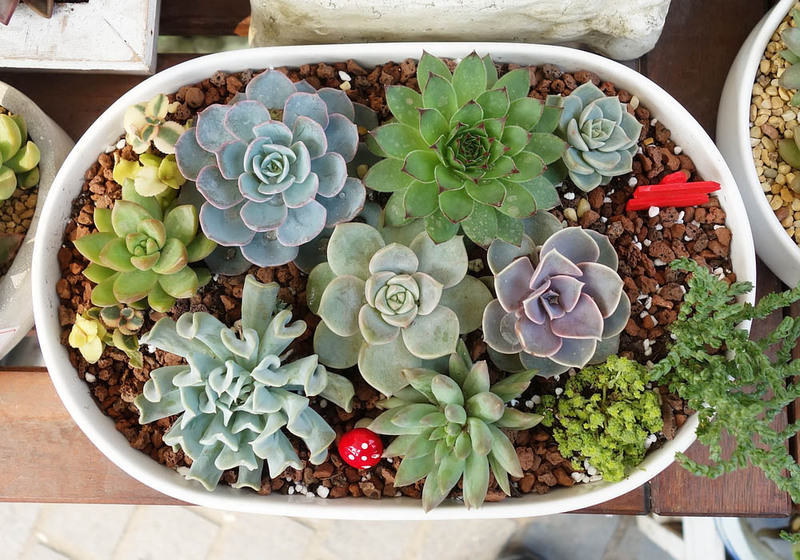 Even if you don’t have a green thumb, you should be able to care for succulents. 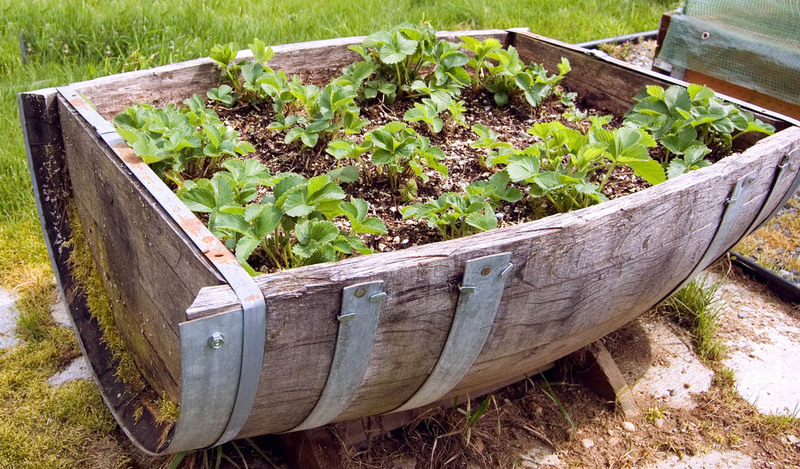 This planter is perfect for a rustic garden. The barrel appears to be sliced in half, with support bars keeping the half together. This makes for a magnificently deep planter that’s perfect for plants with deep roots. The raised nature of the planter means you won’t be kneeling to care for your plants, and weeding will be reduced! Concrete planters are tough, and will weather through any storms and snow you throw at them. However, they are exceedingly heavy even before you add your soil and plants, so you’ll need to do some planning before deciding where to put these beasts. They look fantastic in the front yard, where they can frame the walkway to your front door. Container gardens typically have more than a single container, so you can afford to mix and match designs. 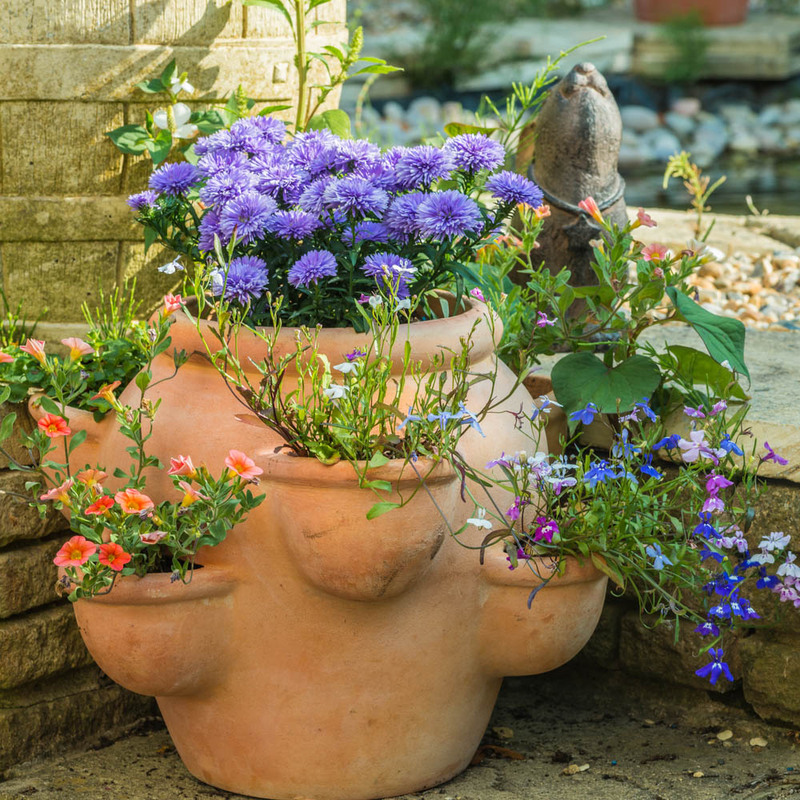 We love the way garden sculptures are mingling with traditional ceramic flower pots and more creative planters like pitchers and watering cans. Larger pots are on the ground next to the taller display. 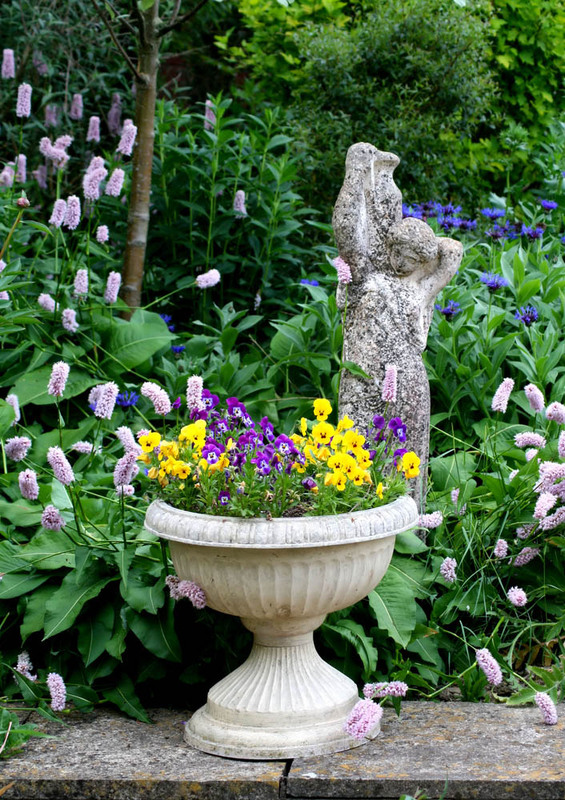 Urns aren’t as popular as they used to be, but they’re still an elegant addition to a classical garden, particularly when matched with stone pavers and weathered statuettes. 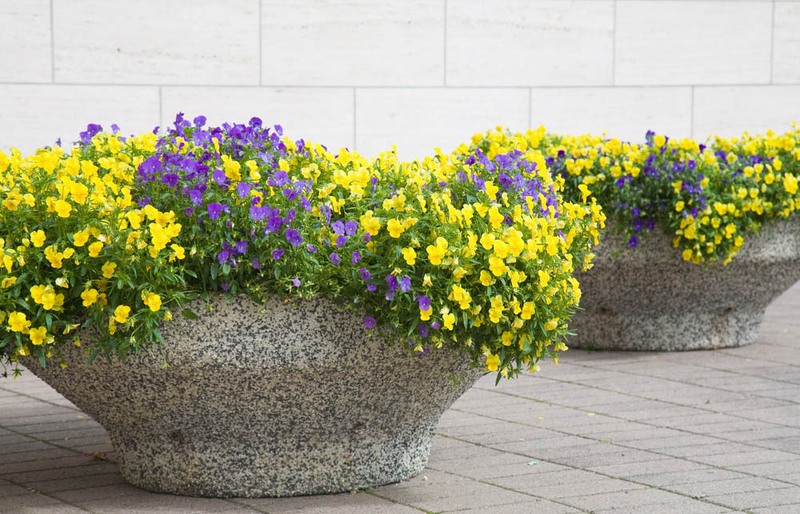 Fill the wide brim of the urn with colorful perennials, like these yellow and violet pansies. When placed against a more subtle backdrop of flowers, they are particularly stunning. 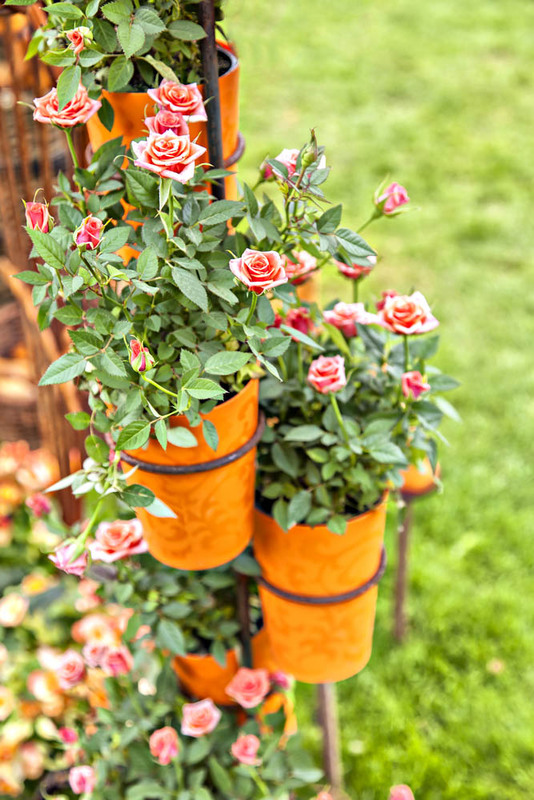 These bright orange plastic planters are attached to a trellis using a wrought iron planter holder. The effect is that smaller, hardier varieties of roses can be planted in each cup, creating a beautiful trailing effect. Since roses can be difficult to care for, particularly those of the climbing variety, this is a great way to create the same look. Plus, it’ll fit nicely in a smaller backyard or on a patio. This urn is less decorative, with more of a Southwestern flair to it, but it still looks fantastic in any container garden. The pot has lower balcony-like projections that isolate other plants and increase the planting surface available. Plant a variety of colors in this pot and see it burst into color! Plastic planters are super versatile, and are inexpensive, so you can afford to make a bigger container garden! We love the way this garden is set up, with a row of planters along the sidewalk, and window boxes and other hanging planters staggered above them. Just a beautiful way to add color to the front of your home! 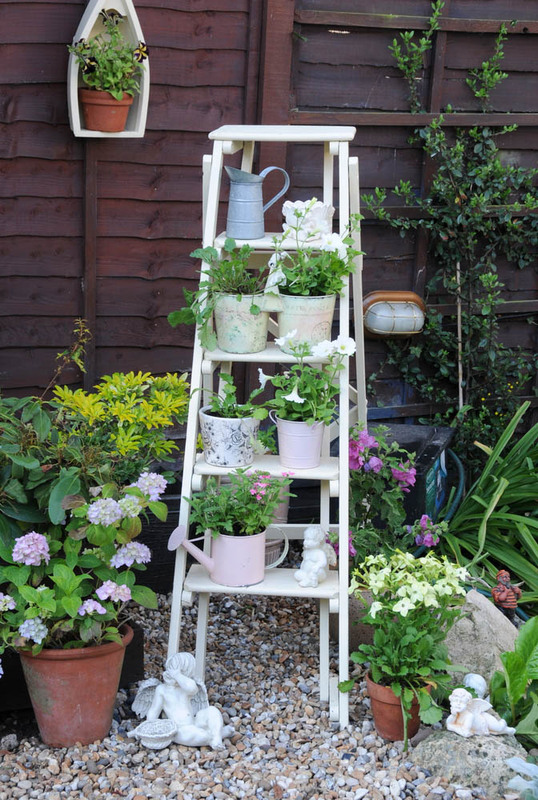 If your plants aren’t quite large enough to need their own pot yet, you can arrange them, still in their plastic containers straight from the garden store, in a ladder shelf. 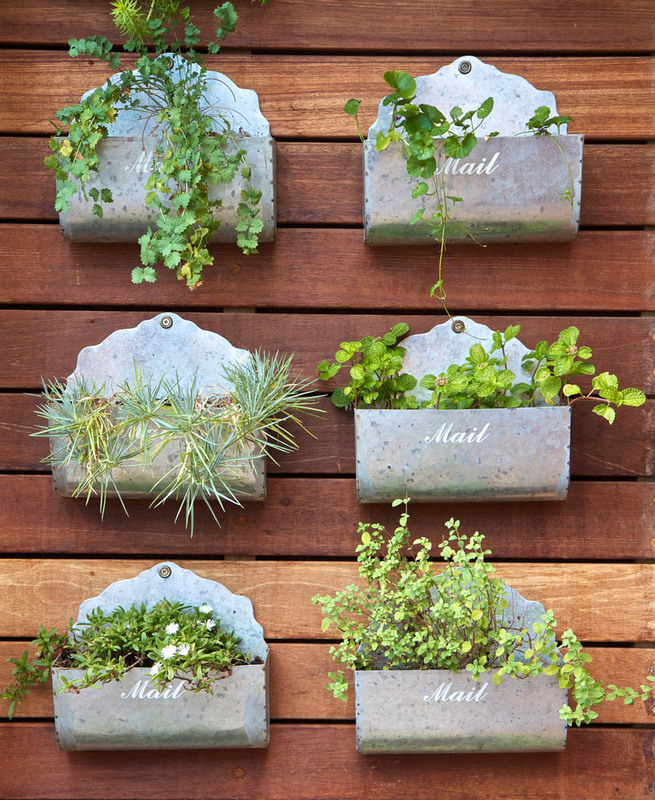 This is a perfect idea for herb gardens, but you can use them for any small planters you wish. Just be sure to move your plants to proper sized containers when they’re ready! Clay, like terra cotta, is a heavy material, but natural clay is a much more subtle color. Find clay pots with textured designs, like the horizontal stripes or chevron patterns shown above. Choose a variety of sizes and shapes to add subtle flavor to a walkway or stairs. 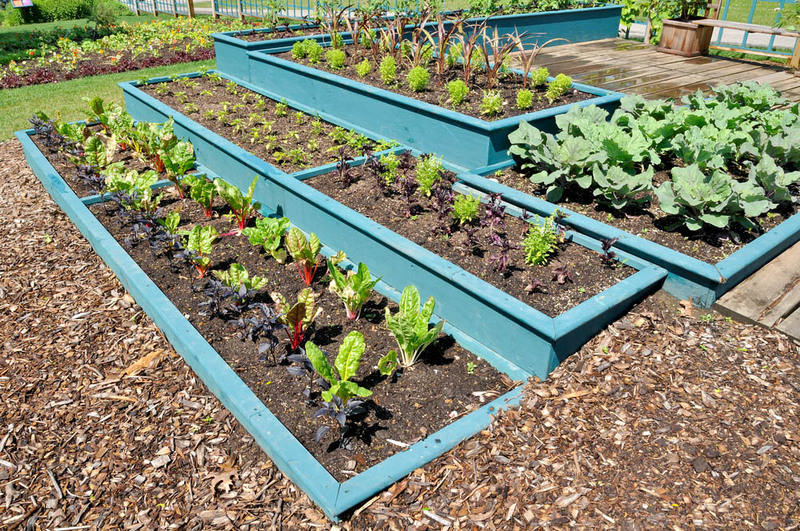 Try planting your raised garden boxes in a tier; this is great for hilly backyards, where it is more work to flatten your yard just to add raised planting beds anyway. The difference in heights also adds dimension to the yard, as does the light blue color added to the wood. 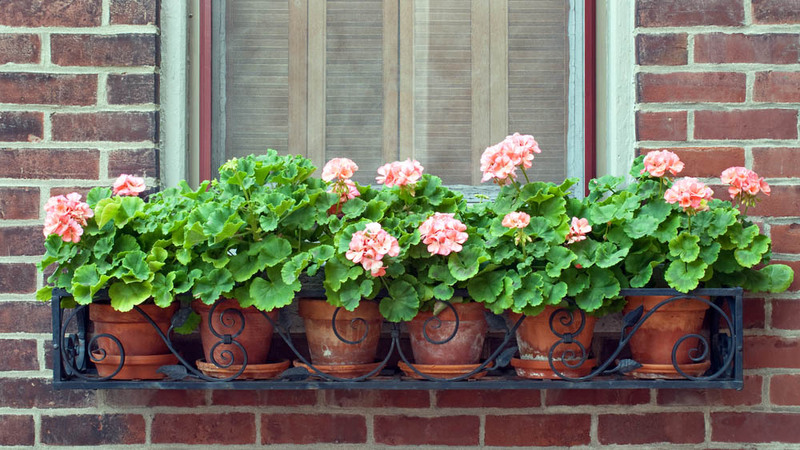 A container garden can also serve as a lovely window box. Select a decorative box, like this black wrought iron box with decorative scrollwork, and fill it with a less decorative pot. Cheap terra cotta work great here. Add your flowers, then stand back and admire your new window box! Tiny places are rife with opportunity for a container garden. 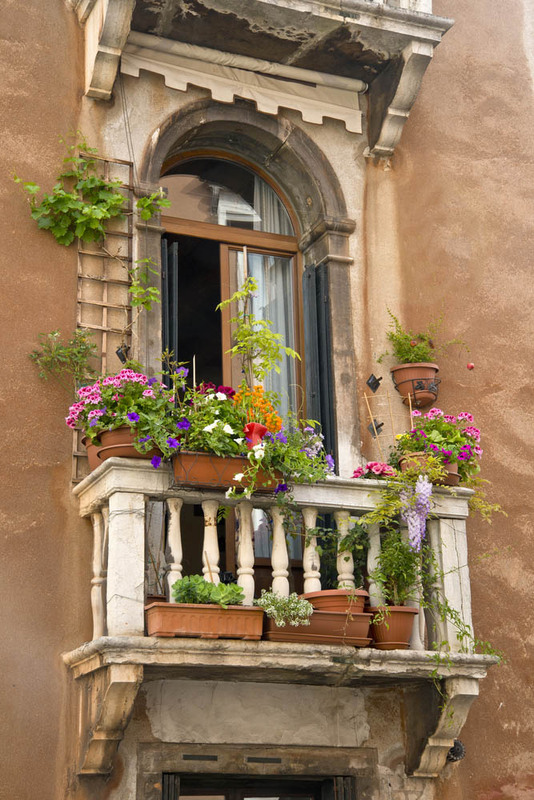 This narrow balcony is the perfect spot to create container garden, with a variety of planter shapes and sizes. Over-flowing planters and window boxes crowd the ledges of this balcony, creating a fragrant and colorful display. 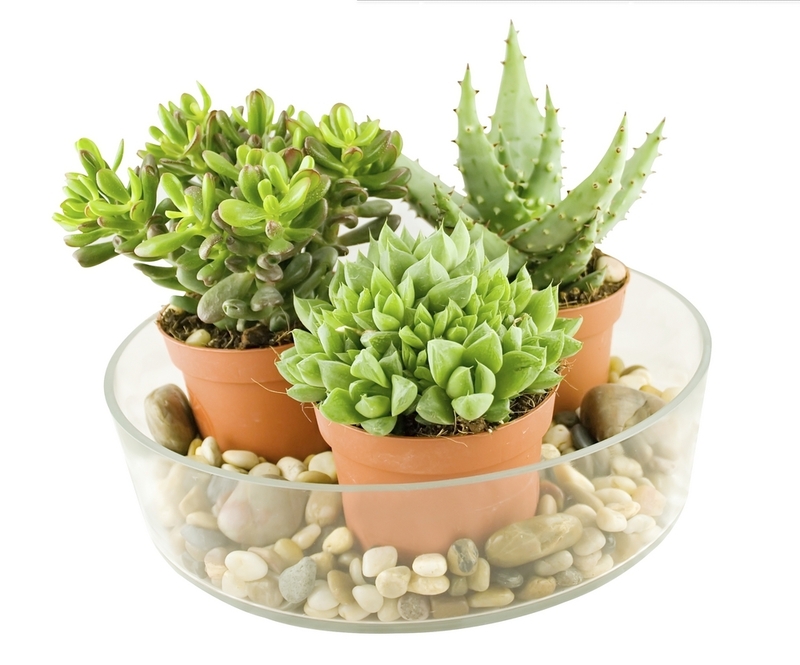 For a small interior container garden, group succulents that are planted in individual pots together in a larger bowl. This will group the individual pots together visually. Add decorative pebbles to the bowl to help keep the pots in place as you move the garden from place to place. 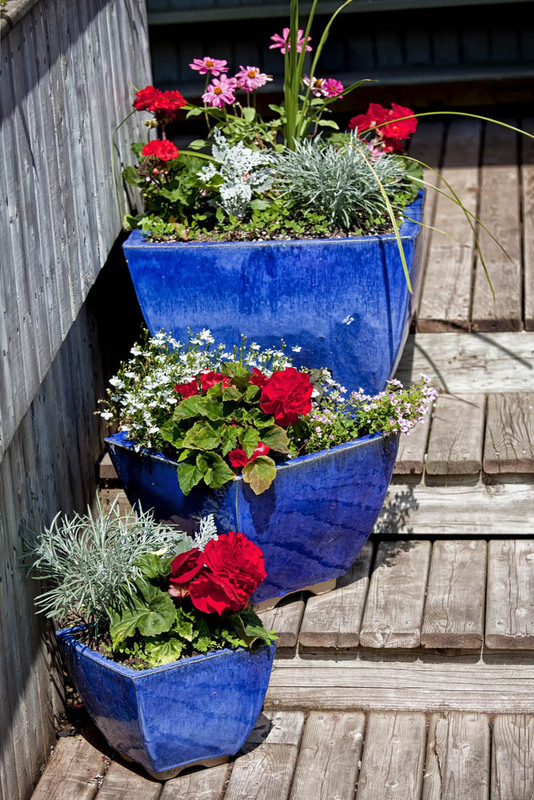 A cascading, tiered group of ceramic planters along the wooden steps of the deck is a simple way to create a container garden without breaking the bank. The plants in each pot are varied slightly, keeping the same color scheme, but adding differing textures. 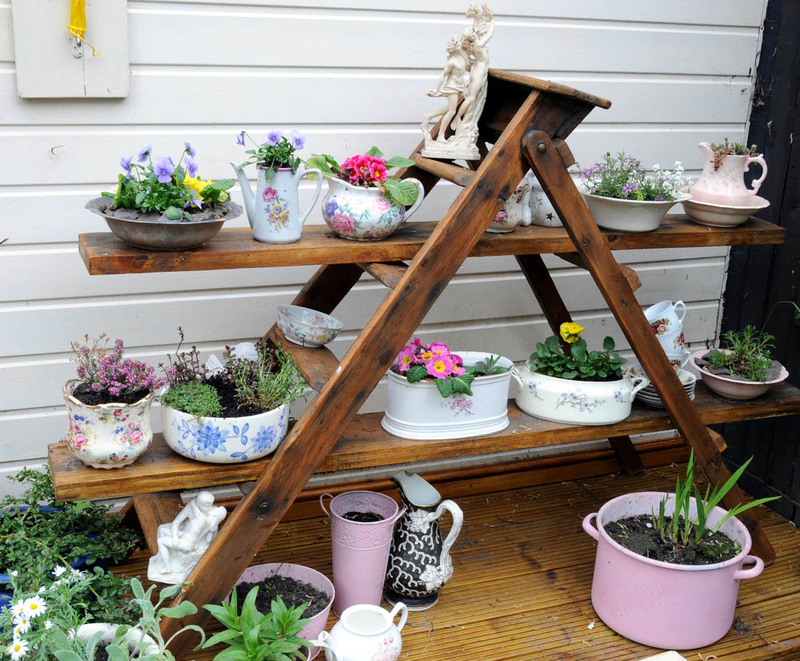 Container gardens can be easily moved indoors during a cold snap, particularly if you stick with smaller planters. 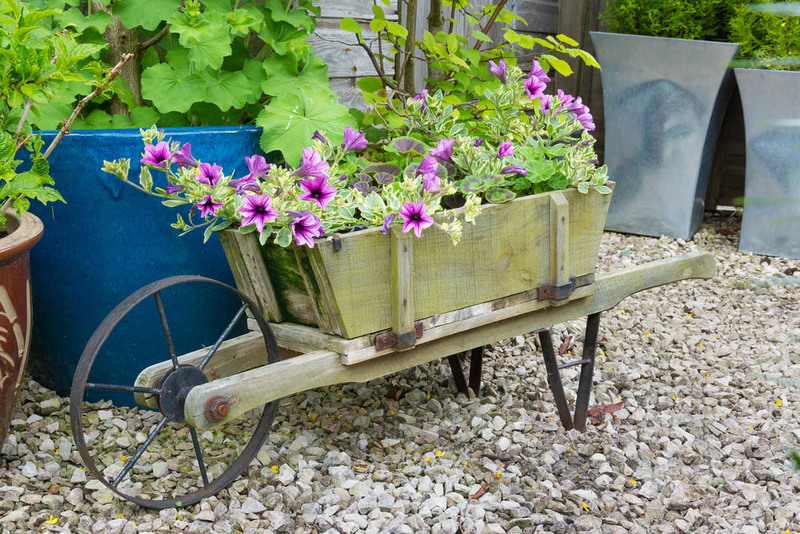 A wheelbarrow planter is doubly mobile, as long as you have a wheel that turns! This is a great addition to any rustic or cottage container garden.